My friend insisted on taking me to the airport that early morning. Early, like 4:00 AM. There was no way, I'm not gonna miss this good soul. I felt sad upon leaving Jogja. I loved that place. The people I met there were amazing. It has always been the sucky part of traveling. You gotta learn to unattach the moment you are about to leave. I'm glad Bali made it easy for me. 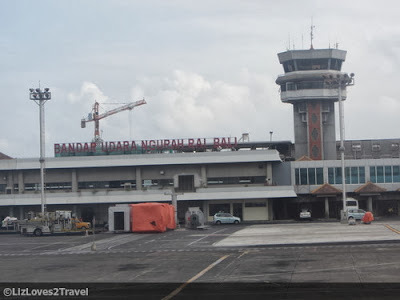 After 2 hours of "I don't wanna leave Jogja" feeling in the plane, we landed in Denpasar Airport. I am officially in Bali. I couldn't see my name among the crowd at the Arrivals area. So I called my home stay to verify if someone's picking me up. 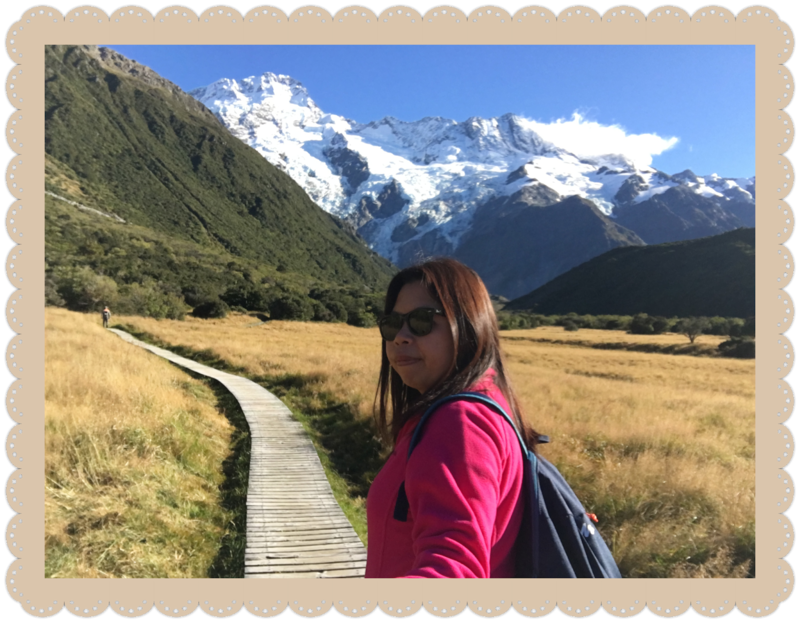 But due to language barrier, we did not understand each other. I ended up getting a taxi instead. After haggling with various drivers, I was able to get one for almost the same price as the home stay quoted me. 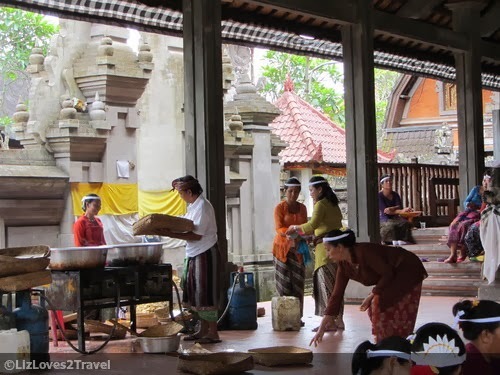 Ubud from the airport takes 1 1/2 hours. Missing on the airport pick up was forgivable when the place is as nice as this. What happened to my pick up? He waited for me at the International Arrival! I actually felt sorry for the driver but it was the owner who never got back to me to confirm my flight details. Still, I sincerely apologized to the driver for making him wait even though I wasn't at fault. I really felt bad about it. 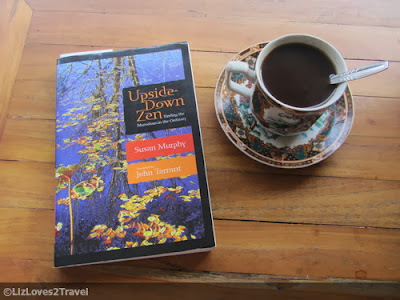 I have no fixed itinerary in Ubud. My purpose of visit here is just to relax and reflect about things. 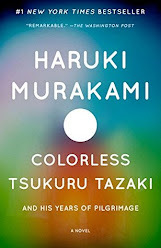 Slow paced, journey to self-enlightenment sort of thing. 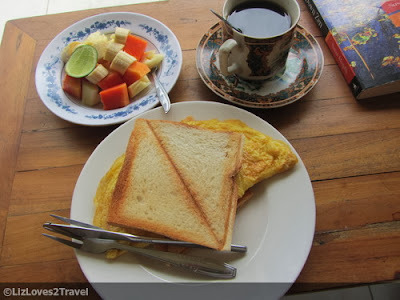 It is far from the wild party scene in Kuta, which is why I opted to stay here. 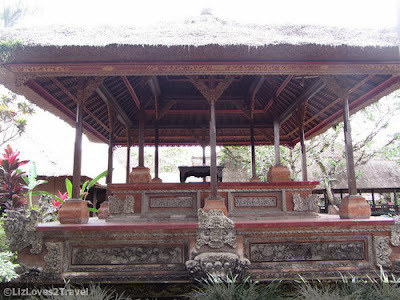 It is the cultural center of Bali. You can find a lot of art galleries and unique architectural sights here. Adding to the charm of Ubud are its rice paddies and cooler climate. 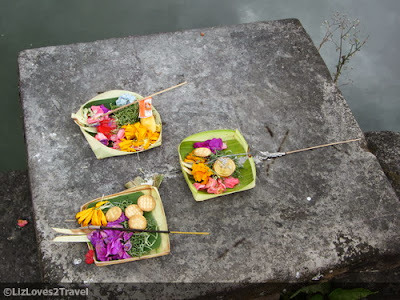 One of the first things that bewildered me during my walks in Ubud are these pretty little offerings I see everyday. They are usually made up of colorful flower petals, bread, biscuits, candies and an incense. I see them in my home stay, in their houses, in the stores, in the streets, in the temples, everywhere. 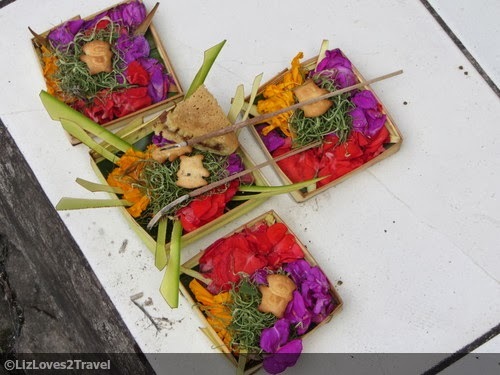 For the Balinese, these offerings serve as gifts. They offer it to the spirits of the Gods. They also offer it to the demons at the same time, so they will go away. 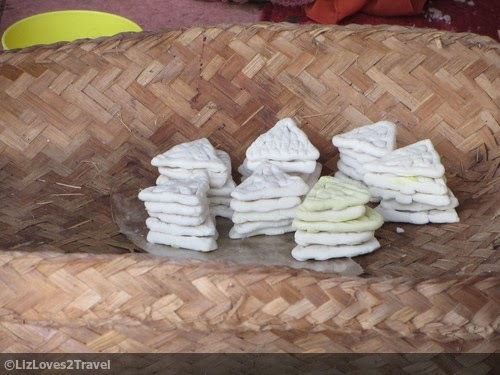 They make these offerings every morning. 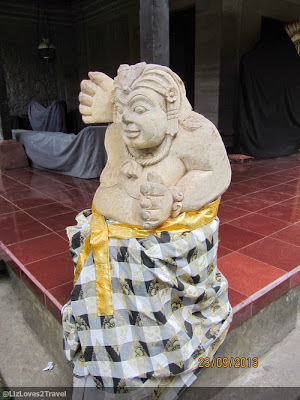 This is one thing unique to Bali and I loved this peculiarity. These offerings is a huge part of their daily lives. 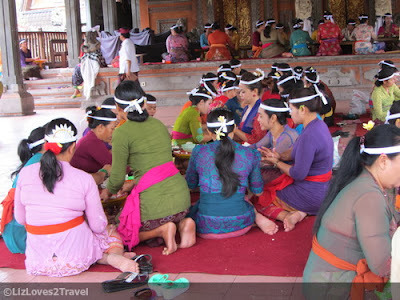 They believe that good karma awaits to those people who participates in the preparations. I passed by one of these halls near the palace and saw these women very busy doing something. I got very curious along with the other tourists passing by and we came closer to see what they were doing. These women were actually making biscuits (I believe) for the offerings. There are offerings that can only be done by men and there are others that can only be done by women. Very interesting. They consider the preparation process also as an act of worship. 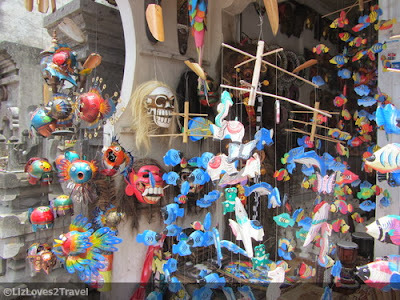 It is an integral part of their everyday tradition believing that it will bring them good luck and it will protect them from the bad ones. 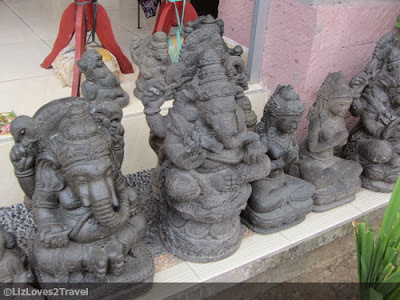 Another thing you'll notice when you go around Ubud are the extensive collections of artworks. 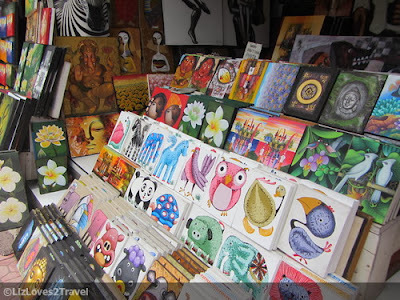 Aside from the fine art galleries, you will see a lot of stores selling paintings everywhere. You will see little cute paintings to huge fine ones. I would love to buy and bring home some of these paintings but it wasn't part of my plan. I'm also not prepared to exceed my baggage limit and to pay extra money at the customs. There are so many things you can buy here. You can buy quality artworks for a reasonable price. 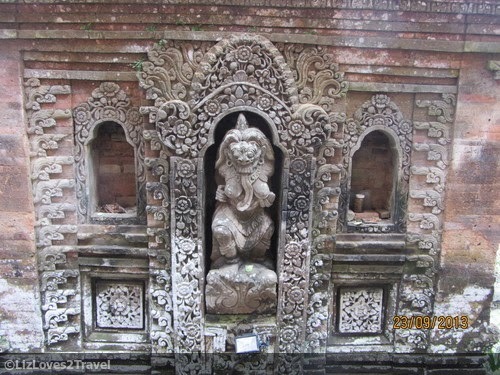 It is not just limited to paintings, but you may also see beautiful wood carvings and stone sculptures. It is always a delight to walk in the streets of Ubud. You don't have to be an art-afficionado to appreciate their charm. I did not book a single tour here. Everyday, I just bring a map, go out and walk wherever my feet take me. 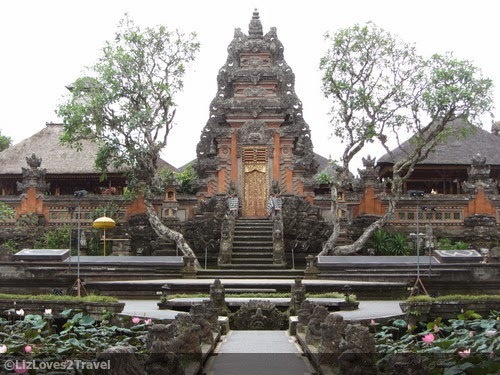 Not to far from my home stay is the Ubud Palace. It is only a 15-20 minute walk from Jalan Sriwedari where I stayed. It is located at the intersection of Jalan Raya Ubud and Monkey Forest Road which are two main roads in Ubud. It is just at the opposite corner of the Tourist Information Center and across the Ubud Market. 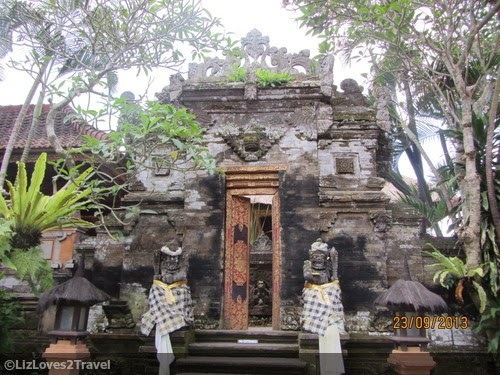 It is a Kingdom Palace with traditional Balinese houses which served as the residence of the King of Ubud until the 1940s. It is built back in the 1800s. They say some of the heirs of the Royal Family still live here up to this day. There is no fee to enter the palace but there are some parts of it which is not accessible for the tourists. The palace has been well kept by the Royal descendants. 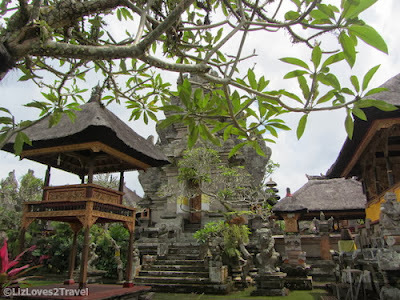 It's Balinese architecture and garden is very well preserved. The black and white sarong being worn by the guardian statues actually has a meaning. For them, it means the duality of life. Like the good and the evil or the yin and the yang. 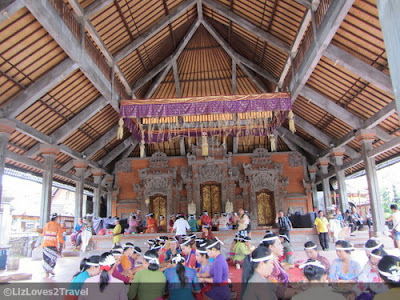 Every night, Ubud Palace also becomes a stage of Balinese traditional dances and performances with gamelan orchestras. It serves as a perfect setting with its gilded traditional gate and guardian statues. I watched these performances twice in this palace. Another interesting place I saw on one of my morning walks was this palace. It is also located along Jalan Raya Ubud to the west, at the same side as the Ubud Palace. I was walking towards the direction of Ibah Villas to go trekking when I passed by this seemingly intriguing place. 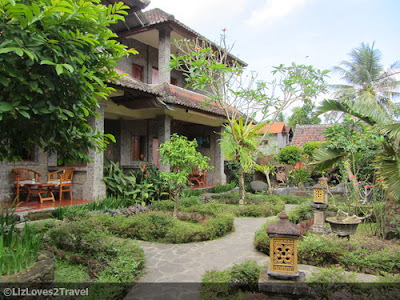 From the outside, you'll see Cafe Lotus on the right side and Starbucks Ubud on the left. There's a small gate in the middle and I peeked from it. Nobody seems to mind so I entered the premises. 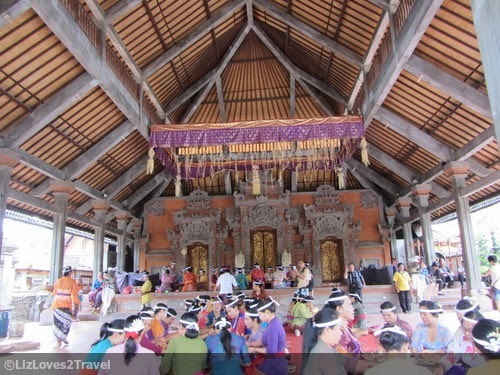 I was surprised to see a beautiful temple inside the compound. I thought to myself, "I found the Water Palace!". It was so pretty. 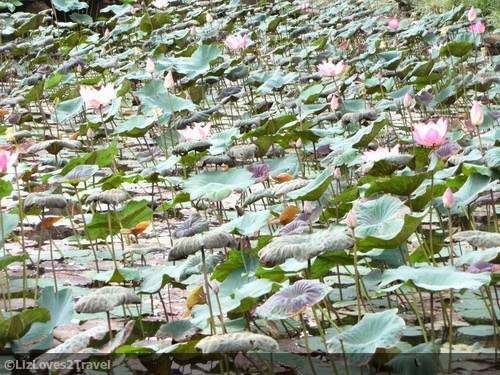 There's a long aisle going to the main temple and on both sides are lotus ponds. 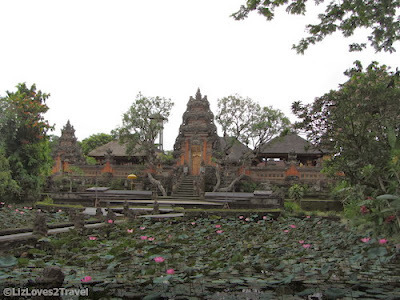 From afar, the temple looks like floating at the pond. Gorgeous! It was so surreal. And those two trees at the sides of the stairs which are leaning on both sides added to the dreamlike setting. 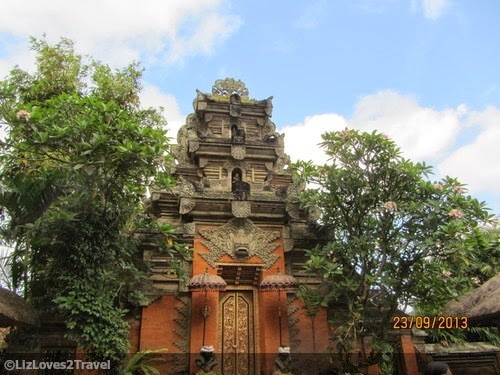 Like the other temples in Ubud, it has a very ornate architecture. There are also traditional performances being held here at night. 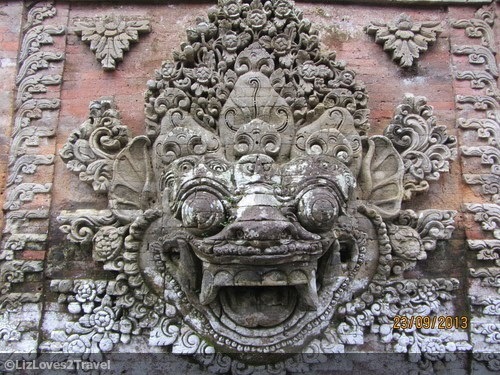 I'm just not sure if it's as frequent as the shows at the Ubud Palace. I would have loved to try the Starbucks there but I promised myself not to indulge into something I can also find in my home country. I almost gave in because it was the most beautiful Starbucks location I've ever seen. 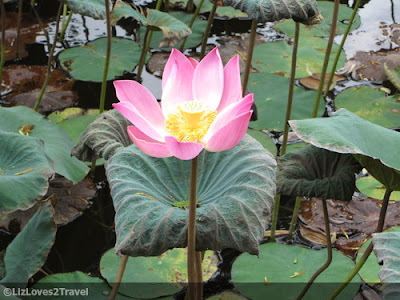 How or where did I find "love" in Ubud? 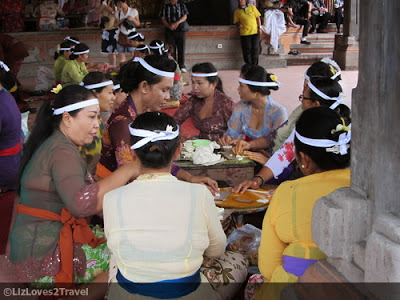 It's in the way the Balinese people do things. Just watching them prepare their everyday offerings and seeing the passion they put into their artworks displays love. I saw love on everything they do and I felt love on their warm and gentle smiles. No matter how much I will miss Jogja, I know I'll be fine in Bali. 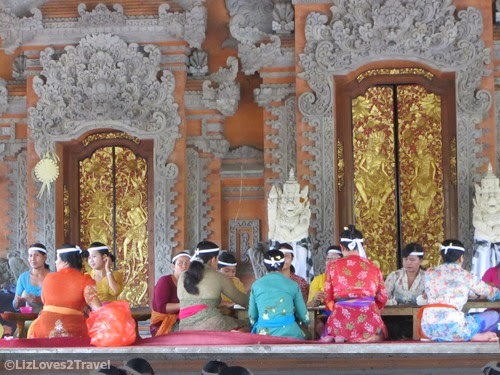 This is Part 1 of my Bali travel series.